"The most accomplished and assured first play I have seen for years"
"The funniest play of the year so far"
By Ishy Din. Directed by Iqbal Khan. Designed by Ciaran Bagnall. On the anniversary of T’s death, his four friends meet for a game of pool and a few drinks… Can they put to rest their guilt over his untimely death? Will their friendship survive the final betrayal? Over the course of one night and a game of pool, secrets are revealed and allegiances shift as quickly as drinks are downed. 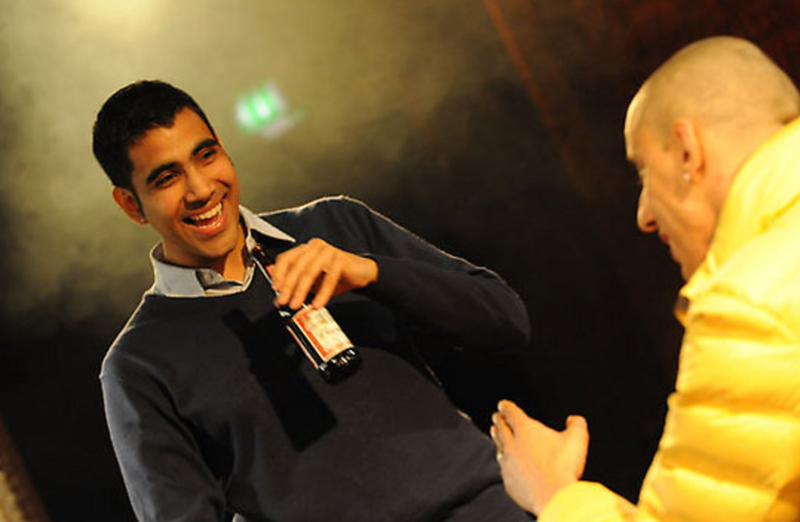 Ishy Din's play provides a timely window into the lives of these young British Muslims - part of a 'snookered' generation - burdened by cultural expectations yet charged with personal dreams. We are proud to present the world premiere of Ishy Din's razor-sharp new play. 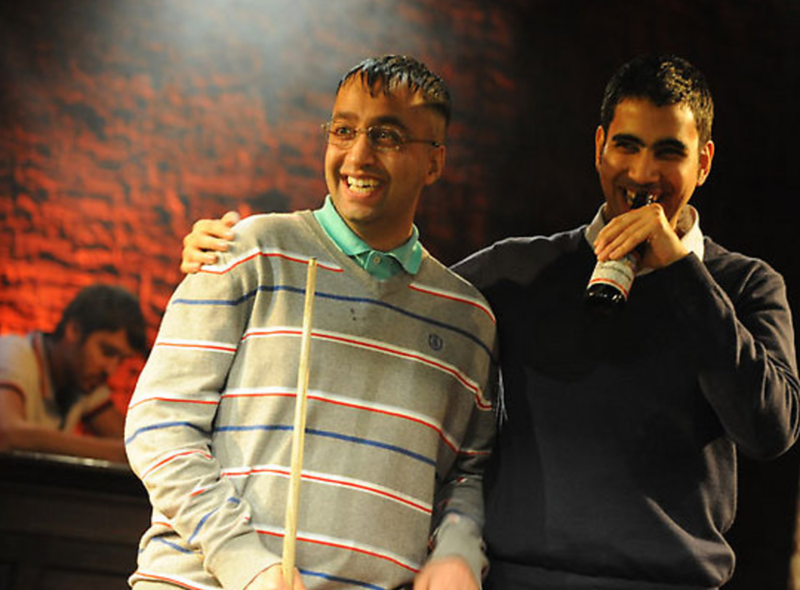 Snookered first emerged when he took part in a Tamasha Developing Artists New Writing course in 2008, it was further developed by Tamasha and performed as a work-in-progress at the Gate Theatre as part of Propeller in 2010. 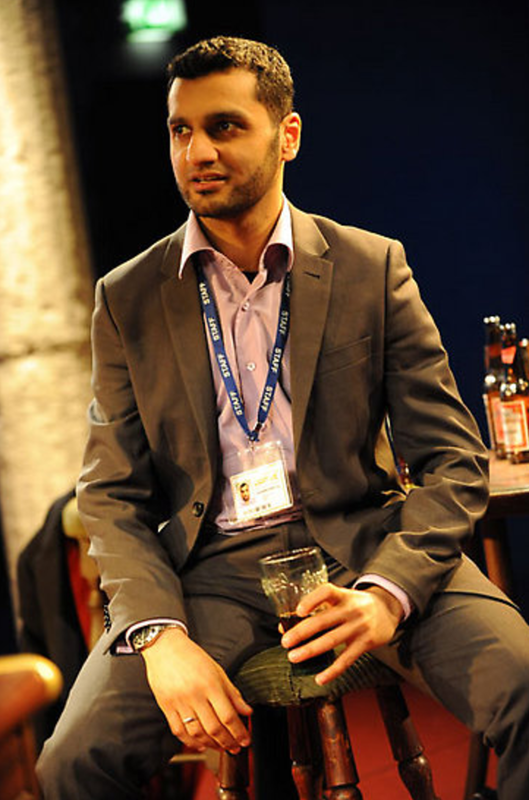 Ishy has been recently awarded a Pearson Playwrights Bursary 2012. 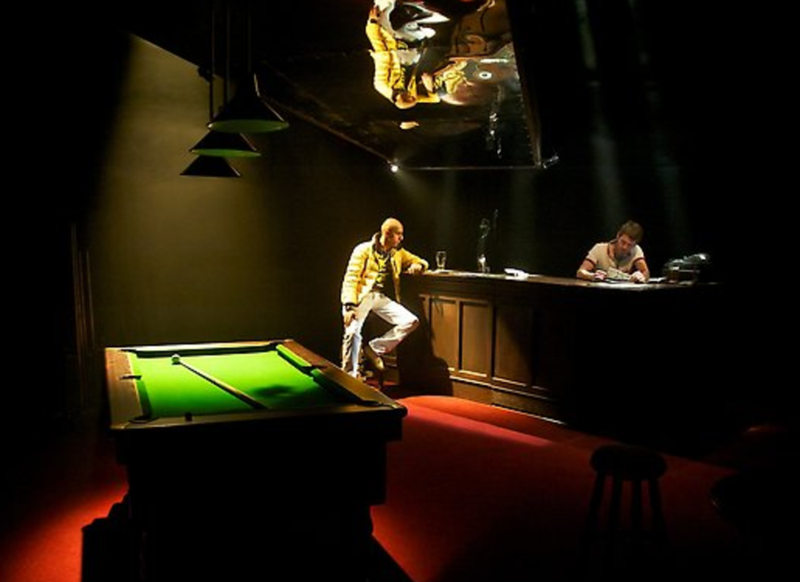 Tamasha gratefully acknowledges financial support from The Jerwood Space for subsidised rehearsal facilities, The Fenton Arts Trust, The Mercers' Company and The Barry Amiel and Norman Melburn Trust for their initial support of Snookered. Snookered contains strong language and adult themes.